03-02-2019 - National Train Day Open House. When, May 11, 2019. 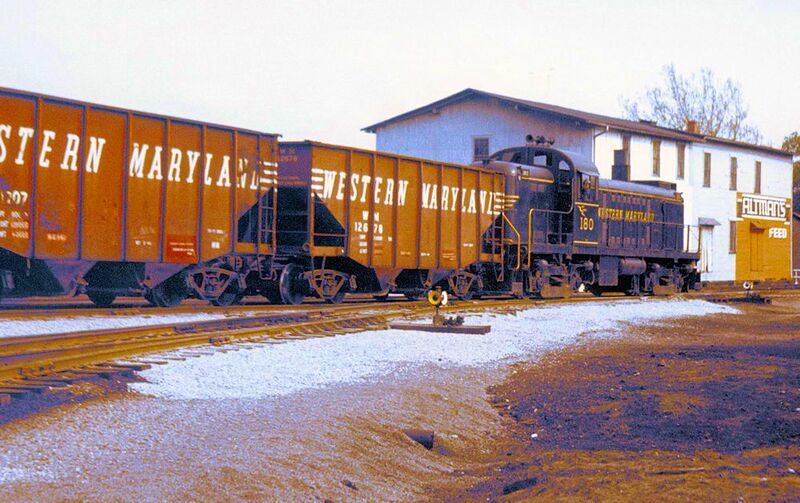 Time, 10 AM-3 PM, Where Western Maryland Railway Historical Society, 41 N. Main St., Union Bridge, MD 21791. Free Admission. Open to all ages. See trains from full size to small model trains. There will be displays of operating equipment (weather permitting) from the Chespeake & Allegheny Steam Preservation Society. There will be a Child ID program table setup. The ID Kit allows parents to collect specific information by easily recording the physical characteristics & finger prints of their children on Identification cards that they may keep at home. If ever needed, this ID Kit will give authorities vital information to help locate a missing child. 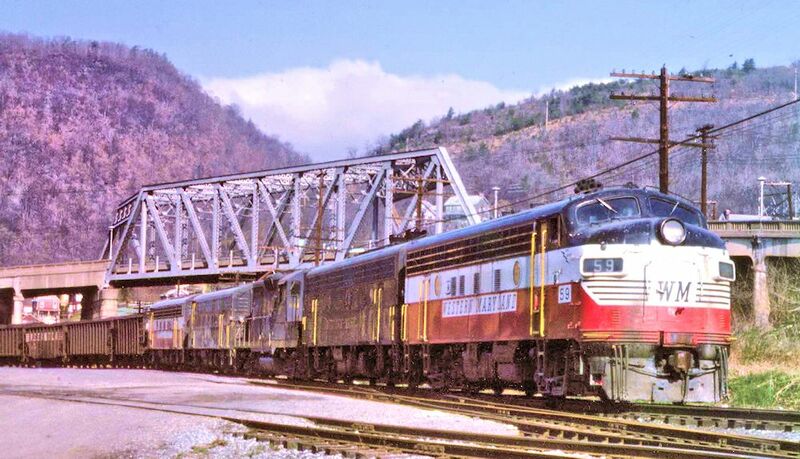 In the 125 years of its operation as an independent railroad the Western Maryland built a reputation as a truly "Fast Freight Line." From the labor­ers on the docks at Port Covington to the top brass, Western Maryland people were noted for their skill in the transportation field and the pride that showed in every aspect of their work. 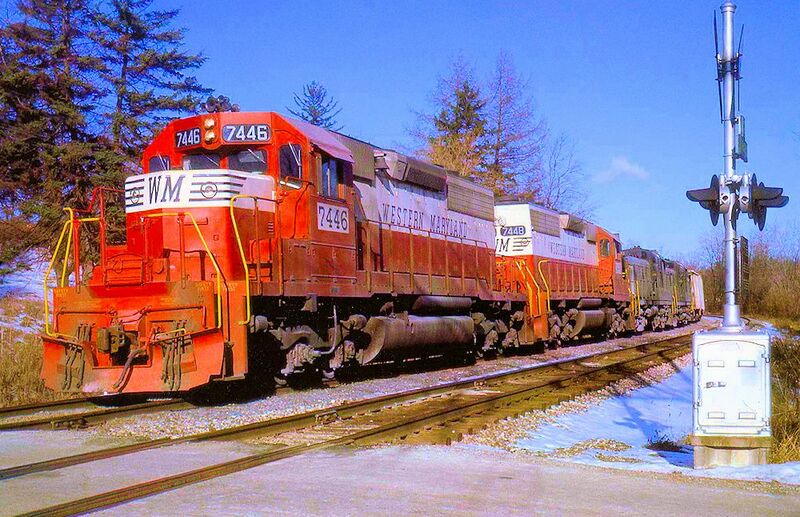 Today, the WM is a fond memory, its remnants serving as important links in the CSX Transportation chain plus various shortline railroads. 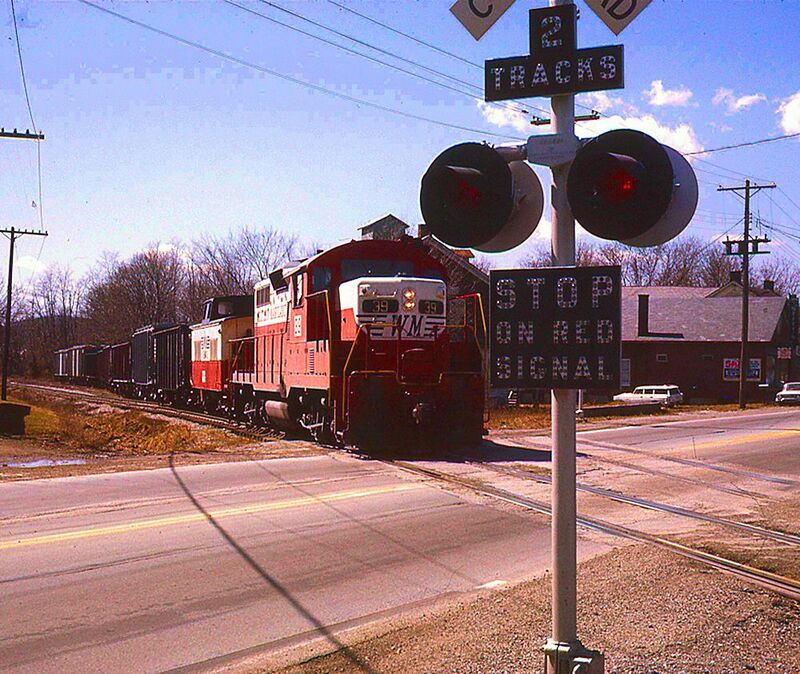 Its memory sur­vives, however, in the Western Maryland Rail­way Historical Society, Inc. 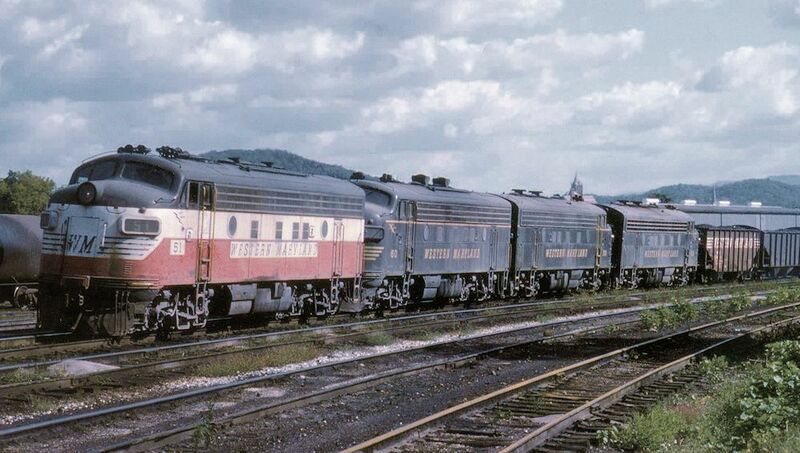 The Western Maryland Railway Historical Society was founded in 1967 for the purpose of preserving a portion of America's rich railroad history. We do this by providing programs for community organizations, publishing educa­tional materials drawn from our collection, supporting activities related to railroading, and by making historical records available to groups and individuals researching railroad history. With the cooperation of the Western Maryland Railway, the Society established a Museum in Union Bridge in the buildings that once served as the station, the company's main offices and express shed. The entire complex was built in 1902. The WMRHS is not affiliated with CSX, its predecessors or the Genessee & Wyoming Railroad (Maryland Midland Rail­way) in any way. The Western Mary­land Railway Histori­cal Society is one of the few organizations of its kind to own and oper­ate its own museum. This affords members and the public alike the unique opportu­nity to enjoy and study our collection to its best advantage. It also serves as a focal point for Society activities and events. 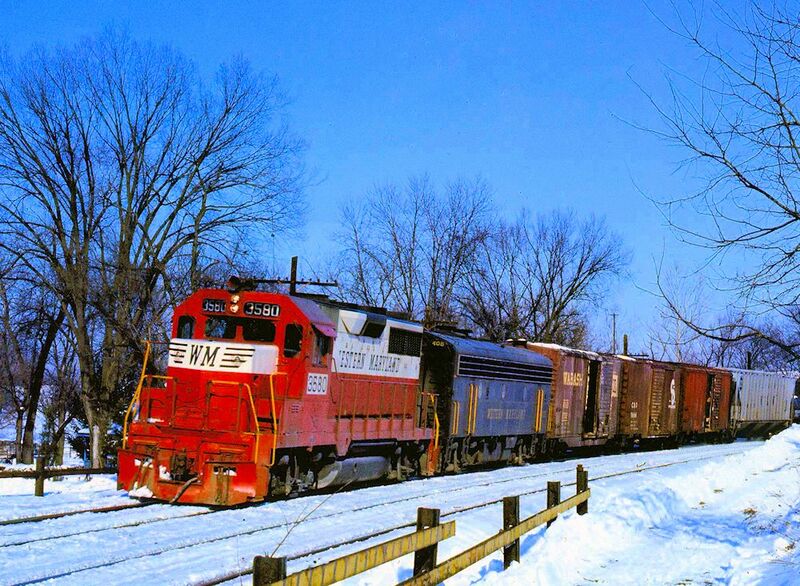 The Museum complex houses our exten­sive collection of WM artifacts and memora­bilia, a voluminous photo archive, archival material directly from the Western Maryland Railway, and an extensive railroader's library featuring historical and technical publications about the WM and other roads of the region. Major exhibits include the caller’s boards from Hagerstown, Md., and Ridgeley, W.Va., and the CTC panel for most of the Lurgan Subdivision. Integral parts of the organization are model railroad layouts. A permanent N-scale layout, which represents the Union Bridge to the Twin Bridges (west of Thurmont) section of the East Subdivision of the Western Maryland Railway in the 1950s, is housed in the Museum. There is also a 4 x 16 foot HO scale layout on display in the depot building. The organization also supports the modular group's HO-scale layout. This group has built and continues to build numerous intercon­nected modules depicting scenes along the former Western Maryland Railway. The modu­lar group represents the Society at train shows and certain Society and community events. The layout can be as large as 30 x 70 feet. The Museum is open to the public Sundays 1 p.m. to 4 p.m., Wednesdays 9 a.m. to 3 p.m. (closed for lunch 11:30 a.m.-12:30 p.m.), and by appointment. Tour groups are also welcome, with at least 30 days advance notice. To arrange a time, call 410-775-0150 and leave a message, or write the Society at WMRHS, P.O.Box 395, Union Bridge, MD 21791-0395. Donations of railroad oriented items are always welcomed and may be tax deducta­ble. Items may also be loaned to the Society by arrangement with the board of directors. Write to the Society for more information. © Content: 2019 Site development & maintenance: WebWorld Creators.